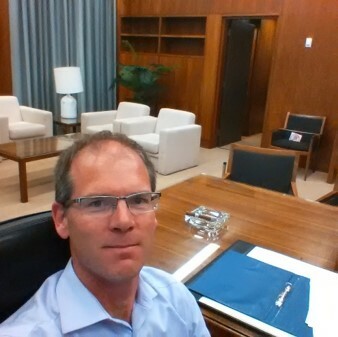 In addition to my current work and recent books on PhD career development and Ontario politics, I have ongoing or previous interests in several areas of Canadian politics. ​Since working in the Ontario Legislative Assembly in the early 1990s, I have had an active interest in the puzzle of legislative representation in Canada and the many contradictions and conflicting impressions surrounding legislatures. For more on my work on Parliament and other legislatures, visit here. In 1993 I joined the Canadian Study of Parliament Group, a unique independent organization that brings together parliamentary staff, academics, and others interested in the role, function and reform of parliamentary institutions. I have served continuously on the CSPG board since 2006, including as President from 2009-2013. 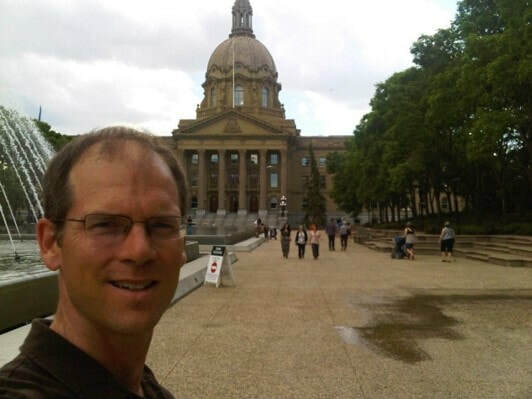 At the Alberta Legislature, 2012. The former Australian Prime Minister's Office, now part of the Museum of Australian Democracy in Canberra. I confess I jumped the rope and sat in the Rt. Hon Bob Hawke's chair. In addition to legislatures I am interested in political executives, again often through the theme of ambiguity and conflicting expectations. Beginning with a 2010 journal article on the many images of Brian Mulroney’s leadership, I have since written a number of publications on the Canadian prime ministership, often in comparison with its Westminster counterparts, especially Australia. One of my arguments is that the historic test for prime ministerial success in Canada has been ​negative​ - that the country has not split apart under their leadership. I also contend that the democratization of party leadership selection through mass voting has paradoxically increased the entrenched power of Canadian prime ministers by making them virtually unremovable. For a list of my political leadership publications visit here. 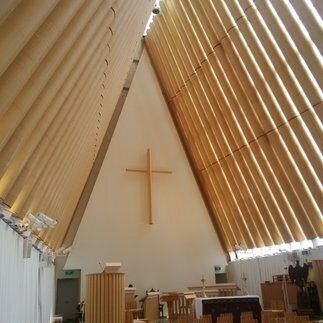 The 'Cardboard Cathedral' in Christchurch, NZ. My work on religion and politics focuses on the politics of evangelical Christians in Canada, including a comparative emphasis on Australia and New Zealand. This is a subject ripe with caricature, over-generalization and excessively polarized analyses from all sides of the ideological spectrum. I am no longer actively researching in this area but in my work I have tried to document this phenomena fairly and advance how political scientists can understand the complexity of religious identity and moral beliefs in advanced secular democracies. Read more about my religion and politics work here. ​My doctoral dissertation and resulting book looked at government units responsible for coordinating policy in women's issues and indigenous affairs in Canadian provinces and Australian states. These units often had considerable responsibilities but limited budgets and highly variable political support. They also laboured under colliding expectations, often seen within government as too close to their issue areas, but by external groups as too much part of the state. I found that the most successful units and people embraced this ambiguous existence and found creative ways to pursue influence and policy success despite their in-between identity. For further information on any of my publications, consult my c.v.